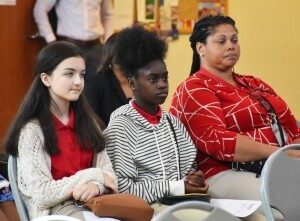 Grant aims to improve college readiness for DeKalb middle school students. 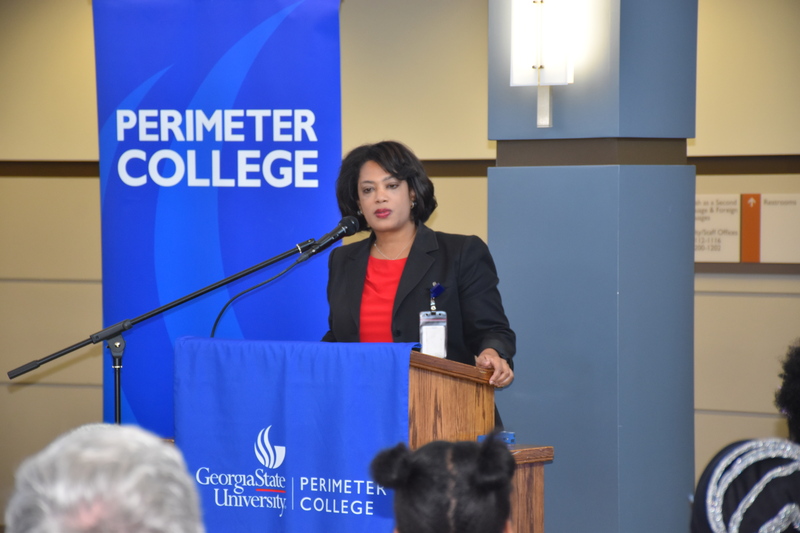 Georgia State University’s Perimeter College was awarded a seven-year Gaining Early Awareness and Readiness for Undergraduate Programs (GEAR UP Grant) that will be used to boost college readiness for DeKalb middle school students. 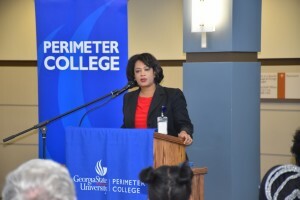 The GSU Perimeter College GEAR UP program will follow DeKalb County School District (DCSD) middle school students from seventh grade through their first year of college, providing supportive services to help them receive their high school diploma, prepare for postsecondary education and for their careers. The grant was announced during a special ceremony on May 17 on the university’s Clarkston Campus. Perimeter College will work with students at the following DCSD campuses: Cedar Grove Middle School; Chapel Hill Middle School; DeKalb Alternative School; DeKalb PATH Academy Charter School; International Student Center; Lithonia Middle School; Mary McLeod Bethune Middle School; McNair Middle School; Miller Grove Middle School; Redan Middle School; Salem Middle School and Stone Mountain Middle School. “We’re pleased we’re in this partnership, and super excited to start with our students in the seventh grade and walk with them through to college,” said Vasanne Tinsley, DCSD deputy superintendent, during the event. Increase participants’ academic performance and preparation for postsecondary education. Increase the high school graduation rate and enrollment of participants in a postsecondary institution. Increase participants’ and their families’ knowledge of postsecondary education options, preparation, and financing. The college will host an all-school kick off of the program in the fall. To see photos from the kick-off ceremony, please visit our Flickr page.